From the ancient times of philosophical thought to the advent of the first chemical theories of Becher, heat had been a mysterious concept. It is almost a wonder that something as ubiquitous as heat could be debated, but often daily experience is a poor substitute for real understanding. Although a defining character in differentiating chemistry from alchemy, Becher’s concept of terra pinguis as the source of inflammability is quintessential of the pre-caloric period. Now it is not fair to group such progressive figures such as Becher and his student Stahl into the same category as Descartes and Aristotle, but the nature of their inquiries into the nature of heat were generally compatible. Heat, and particularly flame, was understood as the activation of a potential quality of the material itself. 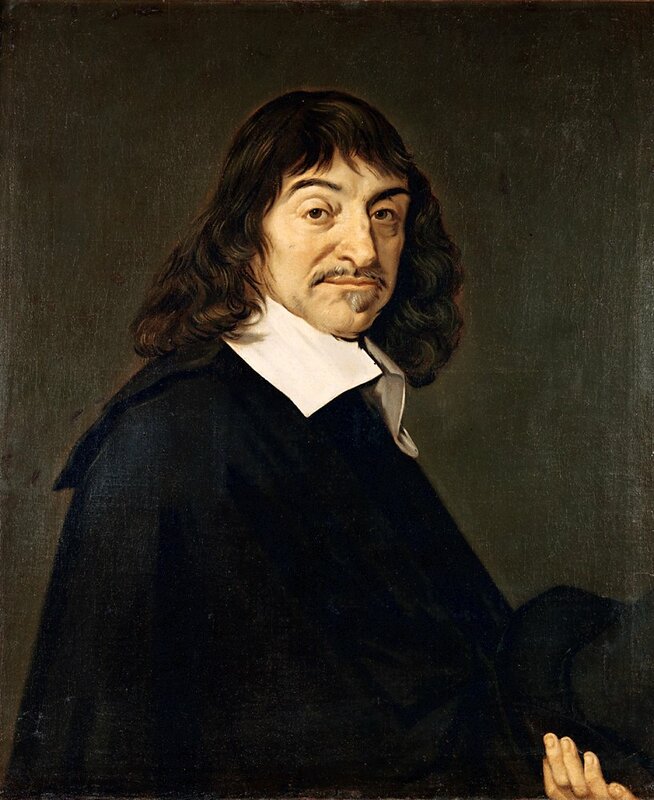 The application of heat, according to Descartes, “transform[s] the subtler parts into fire” and thereby un-mixes the compound. Over the centuries, the active element providing this inflammability has gone by numerous names including ‘sulfur’, ‘fire’ and terra pinguis, but ultimately this foundation of combustion theory was synthesized by Stahl in his Phlogiston theory around 1697. The defining feature of this theory was an ‘imponderable fluid’ which resided within bodies and provided the means for combustion. Through the application of heat, which causes the “breakup of a body with expulsion of its more volatile constituent” combustion can occur whereby the phlogiston is given up from the compound and yielding an elemental calx. While Becher’s terra pinguis was elemental, Stahl took the first step in extending the phenomenon of fire to the movement of a fluid rather than the breakdown of a material. The appeal of the Phlogiston theory lied in the elegance in which it showed the equivalence of respiration and combustion. For centuries philosophers have noted the parallels between the act of combusting plant matter and of eating it, but with the phlogiston theory this parallel could be experimentally validated. It was seen that a mouse and a flame left covered in a seal container both became extinguished after some period of time and that the air inside would then hold neither combustion nor respiration. Similarly, while under conditions of a vacuum both a mouse and a flame will be extinguished. This is completely consistent with an ‘imponderable fluid’ being emitted upon combustion and which flows from high to low. This dependence on flowing from high to low gave rise to one of the critical elements of the theory: once equilibrium in phlogiston levels is achieved no more combustion can occur. This leaves the mouse dead and the flame extinguished under closed conditions. Stahl’s Phlogiston theory achieved a high level of success since it was tuned to an experimental rather than a theoretical methodology. A large shift in the theory of heat came from Lavoisier who developed a comprehensive, alternative system to Stahl’s Phlogiston theory. Around 1778, Lavoisier published his Caloric theory wherein heat is not the activation of some potential property but rather the accumulation of Caloric. Caloric, like energy or mass, is conserved and continuously expressed—unlike Phlogiston—and exists as a subtle matter, which “penetrates through the pores of all known substances”. Combustion was the dynamic process when an element or compound becomes more attracted to caloric than to other elements or compounds leading to a rapid accumulation of caloric, i.e. fire. Another way to consider caloric is as “being the cause of heat”. The power of the Caloric theory of heat became evident when its applications to experimental observations was published by Lavoisier. Having known the effect of pressure on the boiling point of liquids, Lavoisier formed caloric theory based on his personal experiments in the phase transitions of materials. According to caloric theory, caloric provides a repulsive force to oppose the atoms’ “own gravity” and therefore explain the difference between the solid and gaseous phases. Atmospheric pressure then added he required third phase of liquid as an intermediate when caloric is repulsing each particle from the others but air pressure excludes their full separation. Caloric theory also explained why chemical reactions take place. A reaction between two particles will occur when they are more attracted to each other than caloric. Consider the case of wood. Apply enough heat to wood and it will surely catch light if oxygen is present in sufficient quantity. Without oxygen the wood will still transform but to charcoal instead of gas and ash. In both cases caloric was present, but only in the case typical of a fireplace are there the ingredients which can be activated by the caloric. Indeed, through observational studies of reacting compounds chemists were able to develop lists of each compound’s relative attraction to caloric and make sense of some of the numerous reactions being discovered and researched. The next great transformation in the scientific understanding of heat came from Clausius and Boltzmann in the form of statistical mechanics. By re-evaluating the concept of Caloric and working from a mathematical framework, Clausius thought of heat as “assumed to be a motion” and nothing more. By putting the atoms and molecules of chemistry into continual motion, thermodynamics permits an entirely new set of implications to unfold naturally which took the science of heat in an entirely new direction. Before we get to some of the finer minutia of the theory, the basics must first be considered. Although silent on the issue of what permits atoms to join together in molecules, the thermodynamic theory of Clausius explains chemical phases and diatoms quite readily. The difference between solid, liquid, and gas no longer required a fluid which is self-repulsive but rather just a difference in atomic motion. This shift in perspective permits new explanations to old phenomenon such as the density of water. Previously under the caloric theory it made no sense for water to become less dense below 40°F if the amount of caloric determines the size of each molecule. With a thermodynamic theory, this becomes a more accessible phenomenon of packing and arrangement. The application of statistics to the chemical theory of heat also opened up the door to an entire new branch of chemistry: mathematical chemistry. The power of mathematics, applied to a couple basic assumptions, permitted tremendous productivity during and after Clausius’ career. Entropy, an original concept of Clausius, provided the first insight into the breakage of the ‘time-reversal symmetry’ of Newtonian mechanics. The world around us shows a clear direction of time, yet Newtonian atoms should not prefer any direction for time: Newton’s laws are ‘time symmetric’. Clausius started forming the bridge between thermodynamics and Newtonian mechanics in such a way that an atomic view of nature became self-consistent. Boltzmann picked up the thermodynamic theory of heat in his work connecting the motion of particles to the laws of thermodynamics. Based on statistical mechanics, Boltzmann conceptualized of heat as a potential gradient for entropy. Since a local high temperature region and a relatively cooler region is, as a system, at lower entropy than when the two regions are permitted to reach a thermal equilibrium, heat is merely the transfer of energy to allow the increase of entropy. Furthermore, rather than claiming the increase of entropy as an absolute, he posited that the laws of thermodynamics are probabilistic in order to integrate Newtonian laws with the atomic scale. To claim that any one description of heat or combustion as superior to another would not only be whiggish but also misguided. Each of these theories answered important questions for the times in which they were conceptualized. While certainly there is a difference in the predictive power of the theories, it is important to realize that none of these ideas, nor any in the future, will be perfect in reflecting reality, but that is not even the point of theory. Instead, theory provides a framework in which to contemplate and solve problems—a trait shared by all of these theories of heat. Leicester, Henry M. and Klickstein, Herbert S., A Source Book in Chemistry (link). Lavoisier, Elements of Chemistry (link). Clausius, On the Nature of the Thing which we Call Heat. 1857. A broken cup is nearly impossible to mend, but an unbroken cup is readily shattered.